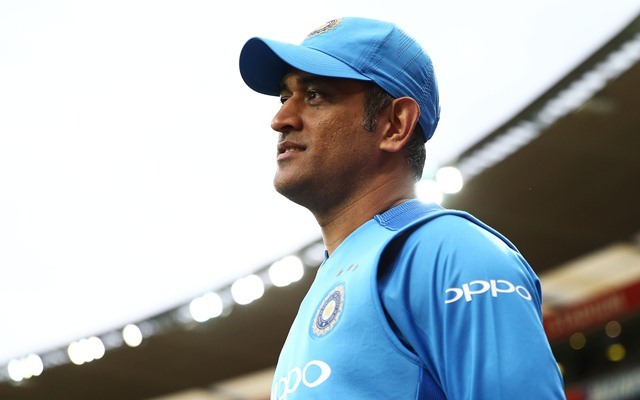 Dhoni was India's top-run scorer at the Westpac Stadium. India registered a convincing 4-1 win in the ODI series against New Zealand. The win in the ODIs was a confidence booster ahead of the T20I series against the same opposition. In the first T20I of the series, New Zealand registered a comfortable 80-run win against the Indian team led by Rohit Sharma. The hosts set a tough target of 220 for the visitors, which proved to be too much despite the best efforts of MS Dhoni. Earlier, India captain Rohit Sharma won the toss and invited New Zealand to bat first. The Wellington pitch had nothing to offer for the bowlers and the hosts’ batsmen made full use of the conditions. New Zealand wicketkeeper-batsman Tim Seifert was the highest scorer as he scored 84 off just 43 balls to give a great platform to the hosts. Contributions from Colin Munro, Kane Williamson and a cameo from Scott Kuggeleijn helped the Black Caps in posting a massive 219 in the first innings. India were missing Virat Kohli, so they needed Rohit Sharma and Shikar Dhawan to step up. Tim Southee dismissed Rohit Sharma early which was a big blow for the Indians. Shikhar Dhawan and Vijay Shankar built a decent partnership but after the dismissal of Shikhar Dhawan, India’s middle order collapsed. At one stage, India’s score read 77/6 and chasing the massive target seemed to be impossible. MS Dhoni tried to build a partnership with Krunal Pandya but it was too late. MS Dhoni scored 39 runs in 31 balls but it was too little, too late as he could not save India from suffering a humiliating defeat. The former Indian captain was India’s top-scorer which meant that he extended an unwanted record. The wicketkeeper-batsman has now top-scored on five occasions for India in T20Is but unfortunately, India have lost on all five occasions.